The books cover birational geometry, D-modules, invariant theory, matrix factorizations, noncommutative resolutions, singularity categories, support varieties, tilting theory, etc. These volumes reflect the lively interaction between the subjects. Contents: Graded Rings and Modules; Flatness; Integrality: the Cohen-Seidenberg Theorems; Completions and Hensel's Lemma; Dimension Theory; Invertible Modules and Divisors; Noether Normalization and its Consequences; Quasi-finite Algebras; etc. Contents: Introduction to Commutative Rings; Introduction to Modules; Ideals; Examples of Rings; Swan's Theorem; Localization; Noetherian Rings; Boolean rings; Affine algebras and the Nullstellensatz; The spectrum; Integral extensions; etc. This course is an overview of Homological Conjectures, in particular, the Zero Divisor Conjecture, the Rigidity Conjecture, the Intersection Conjectures, Bass' Conjecture, the Superheight Conjecture, the Direct Summand Conjecture, etc. 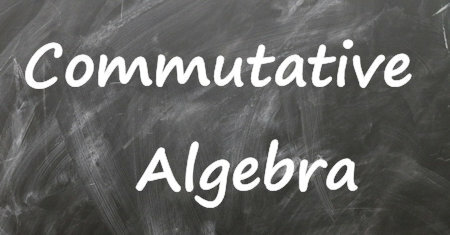 This book focuses on the interaction of commutative algebra with other areas of mathematics, including algebraic geometry, group cohomology and representation theory, and combinatorics, with all necessary background provided.